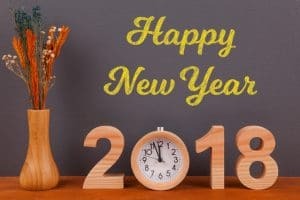 Happy New Year from all of us at PnP Office Furniture! We can’t think of a better way to start 2018 than with new furniture for your office. Whether you have a small home office or a hundreds of employees, we have what you need to make your office efficient, comfortable, and attractive in 2018 and beyond. Do you have a home office? It can be tempting to just use old, beat-up office furniture when you work from home. But when you invest in high quality yet affordable office furniture from PnP Office Furniture, your entire outlook will be enhanced. When you feel better about your office environment, you may feel more confident and tenacious when working, so you’ll go after opportunities that you might not otherwise. Who knows, you may even end 2018 with more money in the bank than you ever thought possible! Do you own or manage an office with a bunch of or even hundred of employees, we have what you’re looking for to make your office look fantastic in 2018. Make your employees comfortable and perhaps even more productive with high quality, affordable furniture from PnP Office Furniture. Our furniture will make your lobby, each individual workspace, and conference rooms look welcoming and professional. Many people start to feel overwhelmed when they see our vast selection of high quality office furniture, but there’s no reason to get stressed out because you have the experts at PnP Office Furniture at your disposal. We’ll be happy to help you narrow down the options and select ideal furniture for your entire office. Many of our clients choose one of our office furniture collections to make picking out matching pieces extra streamlined. We even offer layout planning, delivery, and installation services to save you time, hassle, and money. There’s no need to work with separate contractors for these time-saving services – just enlist the expertise of PnP Office Furniture. Your office will look amazing and you won’t even have to lift a finger! Stop by our well-stocked warehouse to view many of our most popular office furniture pieces. We’re conveniently located at 940 South Rochester Ave. Suite D Ontario, CA 91761 and our business hours are Monday-Friday 8:30am-5:30pm. We offer delivery services within a 50-mile radius of our Ontario, CA, store. We’ve been serving Ontario and surrounding areas for over 30 years, and we look forward to transforming your office into one you’ll look forward to spending time in in 2018 and beyond.